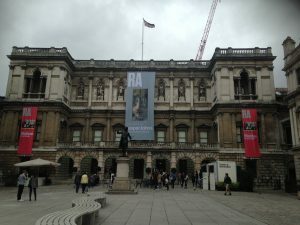 Had a trip up to the wonderful Matisse in the Studio exhibition at the Royal Academy yesterday. It’s great to have the opportunity to see his paintings alongside the objects, or ‘characters’ that he chose to populate them with. The Andalusian green vase is particularly lovely and a close examination reveals it has been broken and mended at some stage – before or after Matisse’s death I wonder?